After a nine-day manhunt and a $125,000 reward for tips leading to an arrest, Orlando Police say they have captured the man suspected of killing 17-year police veteran Sgt. Debra Clayton. Markeith Lloyd, shown on local television with a beaten face and swollen eye, was led into Orlando Police Department headquarters on Tuesday night. “They beat me up,” Lloyd was heard saying three times during the perp walk, according to WKMG. Orlando Police Chief John Mina told reporters Lloyd had sustained some minor facial injuries after he resisted arrest. Markeith Lloyd is suspected of killing Sgt. Clayton in a Walmart parking lot on January 6. Clayton was off-duty at the time and tried to stop a shoplifter at Walmart when Lloyd opened fire. Clayton was shot multiple times. Lloyd then carjacked a vehicle and fled the scene. Orange County sheriff’s deputy Norman Lewis was also killed in a traffic collision while responding to the shooting. The car chase led to 15 Orlando schools going on lockdown as police pursued Lloyd. Lloyd was already wanted on murder charges for the shooting death of his 24-year-old pregnant ex-girlfriend on December 13. “We are extremely grateful,” Police Chief Mina said during a televised press conference. The end of the manhunt came when police, including state and federal agents, found Lloyd in an abandoned home. When they confronted him, he came out of the home wearing body armor, and tossed down two guns, including a Glock handgun fitted with a hundred-round drum. “Honestly, I thought this might end up in a different situation,” a police officer said. 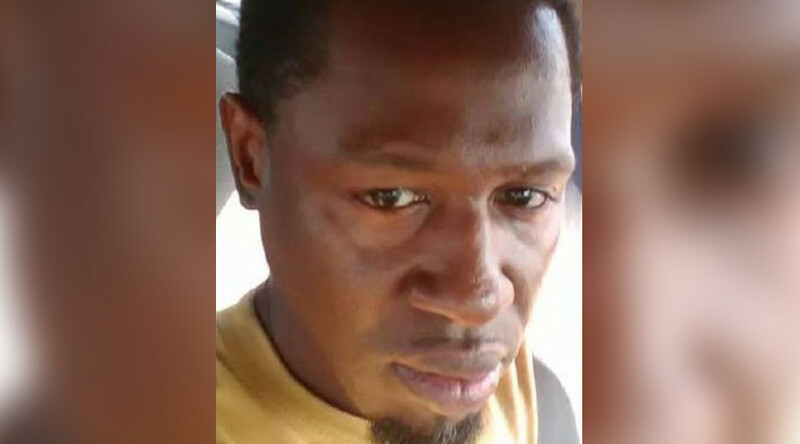 Evading arrest, the 41-year-old had been added to the US Marshal’s office most-wanted list, with police offering $125,000 for tips leading to his capture. Lloyd faces multiple charges, including two counts of first degree murder in connection with the deaths of his girlfriend and her unborn child. Other charges are pending in the police shooting.